The Internet is filled with articles about drugs that deplete important nutrients. This information is often presented as if the conclusions were firmly established when, in fact, sometimes there’s not enough data to back up such statements. Future studies may provide stronger support for nutrients depletion claims. In the meantime, there is published evidence that three drugs classes, while helpful in many ways, can also deplete your body of nutrients. Antibiotics are meant to kill bacteria that are making you sick but, in the process, these drugs also wind up killing good bacteria that live inside your intestines. Some of those good bacteria (such as Lactobacillus reuteri, Bacillus spp. and Escherichia coli) make vitamins our bodies need – in particular, Vitamin B12 and Vitamin K 1,2. Our bodies use these bacterial by-products, along with the food we eat, to provide such vitamins. When the good bacteria are destroyed, our bodies can become nutritionally deficient. Doctors prescribe antibiotics when they believe the drug’s benefits outweigh any risks or side effects. Taking a probiotic supplement (sold in most vitamin stores) during and in the weeks after a course of antibiotics can help restore the good bacteria your body actually needs. Millions of Americans take a type of prescription drug called a statin, to manage their cholesterol. These drugs are good at lowering the type of cholesterol doctors consider bad for heart health. Unfortunately, this type of medicine can also reduce the amount of Ubiquinol CoQ10 we make naturally 3-6. This is because the biological action that helps produce cholesterol also helps make the CoQ10 we need. Small, prolonged decreases in Ubiquinol CoQ10 can disrupt the body’s ability to produce cellular energy and cause other issues such as muscle cramps. People who take a statin can address this nutritional deficit by taking a daily dietary supplement that contains the Ubiquinol form of CoQ10. You can find Ubiquinol in most vitamin stores. Each year, more than half of all Americans experience discomfort from acid reflux. 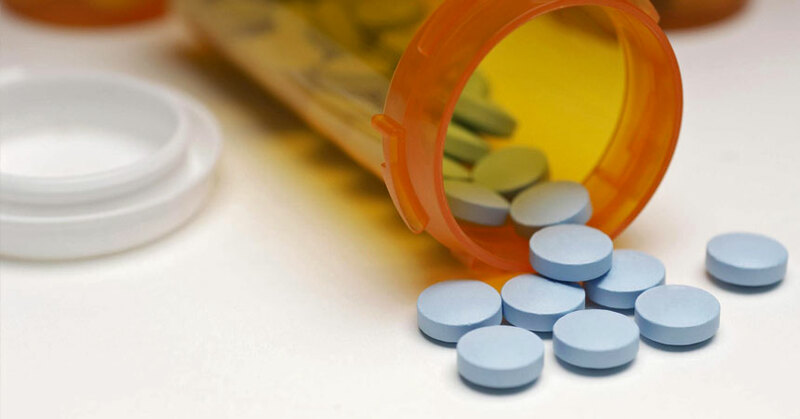 For many of these people, acid blockers such as proton pump inhibitors (Prevacid, Nexium, Prilosec) and H2-inhibitors (Zantac, Pepcid, Tagamet) provide much needed relief. These medicines work by stopping the release of acid in the stomach; however, reducing the amount of stomach acid can interfere with the way our bodies absorb nutrients including calcium and zinc. Researchers aren’t certain exactly how this happens. People taking a proton pump inhibitor long term seem to be at increased risk of bone fractures, but the mechanism linking those acid blocking drugs to such fractures is unclear. 7 Gastric acid secretion has also been found to affect zinc absorption. 8 More studies are needed before scientists can determine the cause for these relationships. 1LeBlanc JG1, Milani C, de Giori GS, Sesma F, van Sinderen D, Ventura M. Bacteria as vitamin suppliers to their host: a gut microbiota perspective. Curr Opin Biotechnol. 2013 Apr;24(2):160-8. 2Bentley R, Meganathan R (1982). "Biosynthesis of vitamin K (menaquinone) in bacteria" Microbiol Rev. 46(3):241–80. 3 Passi S, Stancato A, Aleo E, Dmitrieva A, Littarru GP. Statins lower plasma and lymphocyte ubiquinol/ubiquinone without affecting other antioxidants and PUFA. Biofactors. 2003;18(1-4):113-24. 4 De Pinieux G, Chariot P, Ammi-Said M et al., Lipid-lowering drugs and mitochondrial functions: effects of HMG-CoA reductase inhibitors on serum ubiquinone and blood lactate/pyruvate ratio. Br. J. Clin. Pharmacol. 1996;42(3):333–337. 5 Mortensen SA, Leth A, Agner E, Rohde M. Dose-related decrease of serum coenzyme Q10 during treatment with HMG-CoA reductase inhibitors. Mol Aspects Med Suppl 1997;18: S137–144. 6 Watts GF, Castellucci C, Rice-Evans C et al., Plasma coenzyme Q (ubiquinone) concentrations in patients treated with simvastatin. J. Clin Pathol. 1993;46(11):1055–1057. 7 Ito T, Jensen RT. Association of long-term proton pump inhibitor therapy with bone fractures and effects on absorption of calcium, vitamin B12, iron, and magnesium. Curr Gastroenterol Rep. 2010 Dec;12(6):448-57. 8 Sturniolo GC, Montino MC, Rossetto L, et al. Inhibition of gastric acid secretion reduces zinc absorption in man. J Am Coll Nutr 1991;10:372-375.